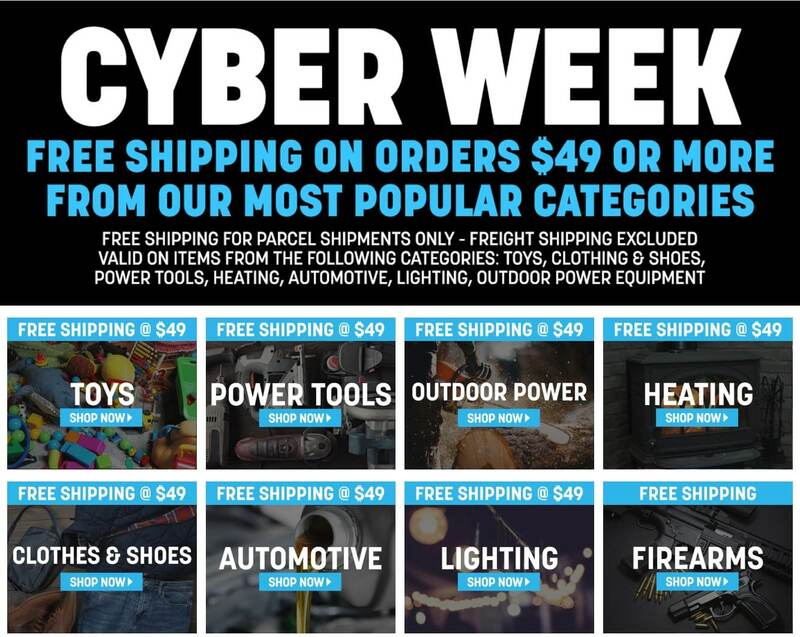 Check Rural King Cyber Monday 2018 Sale, valid November 26 all through Cyber Week. Save with this year Rural King Cyber Monday deals on: DeWALT 18V – 20V Battery Adapter, Matador Portable Wok Style Cooker RT-G450, Comfort Zone 240V 7500W Garage Heater, Comfort Zone 240V 5000W Garage Heater, Bruder Man TGA Tow Truck w/ Vehicle, Wood Pellet Fuel 40LB, At Games Atari Flashback 8 Classic Game Console, Valvoline VRI 20W-50 Oil 1 Quart, Ultra Bright 1000 Lumen Solar Motion Light, 12V Heated Navy Blue Travel Blanket! Don’t miss this week Rural King Ad sales. Don’t forget to check this year Rural King Cyber Monday deals before heading out to shop.